This week’s winning team designed an absolutely elegant red dress. The style of the design reminded me a bit of something from the house of Badgley Mischka. I think Nina gave a little dig about that in her feedback on the look. But it was the self described ‘St. Louis Barbie’, Laura Kathleen that got to take the win from the duo team of Laura and Anthony Ryan. Mr. Anthony was such a gentleman to give her the win. I am so sadly disappointed in Mr. Bert acting so childish and yet designing so old. I hope he can turn it around next week! So as a nod to the brilliance of Badgley Mischka, I felt that the ‘Humbee II’ was very appropriate to complete this look. I really loved the very elegant luxe flowy red lushness. It was just really pretty. Plain and simple, but gorgeous in its seemingly effortless simplicity. As such, I wanted to bring the elegant bling to the look with these sparkly open toe pumps. The cascades of flowy red fabric beg for a little “peek down at my toes” moment. 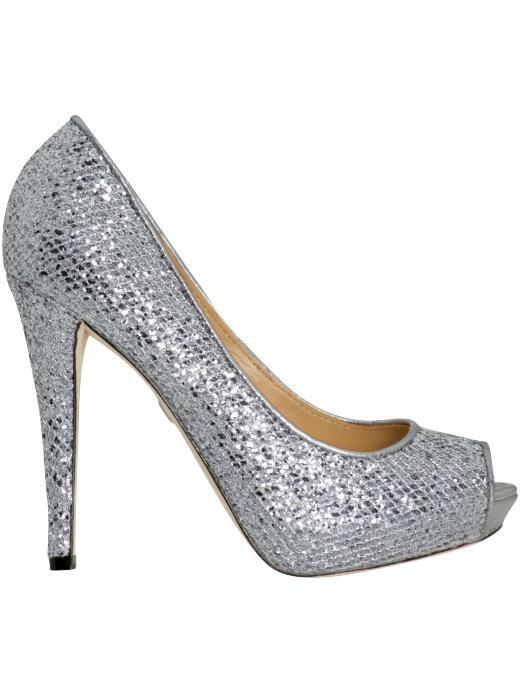 The 4 ¼” heel comes with a ¾” platform to translate that stilt walker height to you. 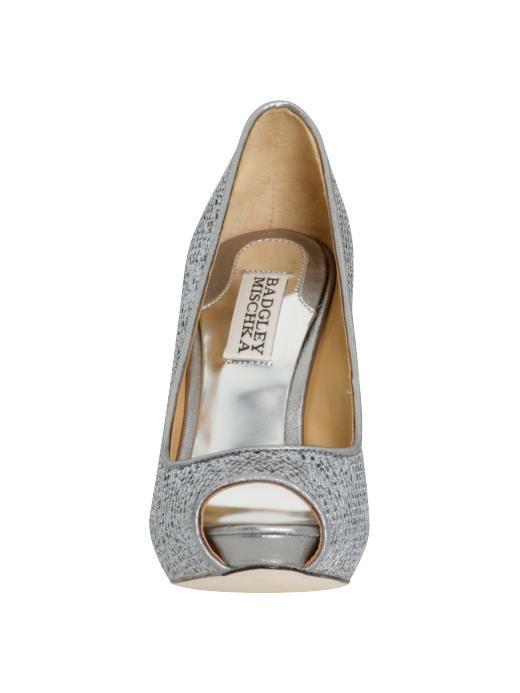 :) A sparkly strappy sandal would be a nice compliment here but I feel that the open toe pump mimics the understated sophistication of the dress in a more Grace Kelly classicness kind of way. ---I am sooo Addicted to Project Runway. Looooove Tim Gunn. Cannot stand Mr. Bert! What a creep.